The ABQ Petcare Hospital team of skilled veterinarians welcomes you to our practice, proudly serving the Arlington and Southwest areas. 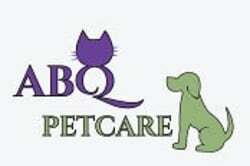 At ABQ Petcare Hospital, it is our daily privilege to provide quality vet care to your cherished pet, with compassion and competence. We hope to ensure a positive impact on our patients, pet owners and the local community. Dr. Young was born and raised in Colorado, where she received her Bachelor's degree in Equine Science. She continued her education at Drexel University of Health Sciences in Philadelphia, Pennsylvania, where she received her Masters in Laboratory Animal Science. She then went on to receive her Doctor of Veterinary Medicine Degree from Western University of Health Sciences in California. Dr. Young completed a rotating externship in Small Animal Emergency, Critical Care, Surgery, Medicine, and Neurology at VCA Veterinary Care Animal Hospital and Referral Center in Albuquerque, New Mexico. During her internship, Dr. Young continued to have an interest in Emergency medicine and Surgery. Dr. Young's other passion outside of work is traveling. She also enjoys hiking, biking, exploring wineries, and spending time with her two dogs, Dexter and Eva (who can be seen taking over everyone's chair at work daily), and her two cats, Maddox and May. Dr. Loren Ortiz was born and raised in Las Vegas, NM. 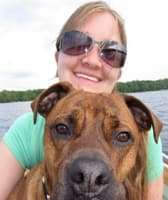 She attended the University of New Mexico before pursuing her DVM at Iowa State University's College of Veterinary Medicine. 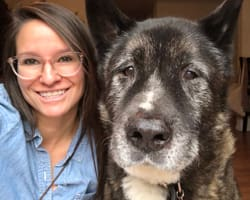 She is a member of the American Veterinary Medical Association, New Mexico Veterinary Medical Association, and the North American Veterinary Community. Dr. Ortiz has numerous interests within veterinary medicine including preventative and emergency medicine, surgery, hospice and client education. In her spare time, she enjoys running, bouldering, creating art, spending time with her niece and nephew and doing all things outdoors. While she enjoyed her time in the Midwest, she is happy to be back in New Mexico to continue her career and have immediate access to green chile.